«Vol. 4» is just a cut below its two undisputedly classic predecessors, as it begins to run out of steam — and memorable riffs — toward the end. 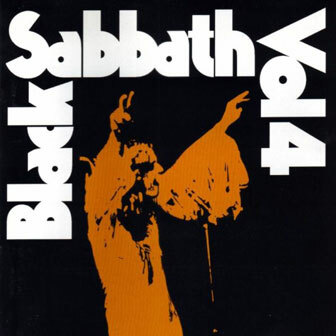 However, it finds Sabbath beginning to experiment successfully with its trademark sound on tracks like the ambitious, psychedelic-tinged, multi-part "Wheels of Confusion," the concise, textured "Tomorrow's Dream," and the orchestrated piano ballad "Changes" (even if the latter's lyrics cross the line into triteness). But the classic Sabbath sound is still very much in evidence; the crushing "Supernaut" is one of the heaviest tracks the band ever recorded. — Steve Huey.